In the first quarter of 2018, BML Istisharat, a globally recognized core banking and insurance software provider based in Lebanon, got acquired by Mawarid Finance (UAE). 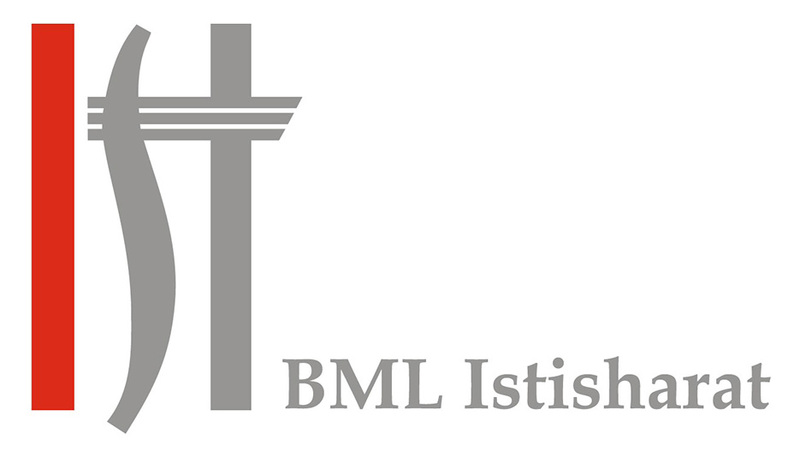 BML Istisharat also secured four new contracts; two in Iraqi Kurdistan and two in Lebanon. Al Qurtas Islamic Bank - Erbil, an ICBS user since October 2016, acquired ICBS interface with AML third party solution. Erbil Bank - Erbil, an ICBS user since 2010, also acquired ICBS interface with AML third party solution. 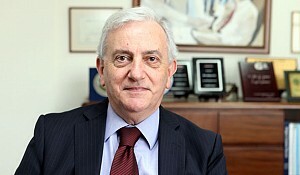 In Lebanon, Middle East and Africa Bank - Beirut (MEAB), which has been an ICBS user for more than 25 years, acquired ICBS Safe Deposit module, and Capital Investment Corporation - Beirut (CIC), which has been an ICBS user for more than 14 years, acquired the local authorities’ requirements module. There was one deployment in Bahrain where Bank of Jordan (Bahrain), which has been an ICBS user for over 21 years in Jordan, then in Syria and recently in Bahrain, went live with ICBS version V.14 on Oracle Cloud. It is worth noting that according to Oracle Corporation, Bank of Jordan (Bahrain) is the first bank in the Middle East to deploy its system on Oracle Cloud. BML Istisharat organized a customer training for BSO Bank (Syria). Their team was trained for ICBS latest version for the Loans Management and Credit Facilities modules. The training was conducted by Mr. Bernard Moubarak, Assistant Project Manager - Banking Unit, assisted by Mr. Walid Atmeh, Assistant Director- Banking Unit, from March, 21 until March, 24, 2018. BML Istisharat got again publicized by the UK’s Banking Technology magazine, a leading professional magazine published in UK (www.bankingtech.com), in its March issue. Banking Technology mentioned several new clients and go-lives for ICBS: BLC Bank - Beirut, Liberty International Bank - Abu Dhabi, Bank of Jordan - Bahrain and Peter house Securities - UK. With regards to BML Isharat’s new partnerships, in the Middle East, Simetric - Beirut, headed by Mr. Fady Fiani - CEO, became a Distributor for BML Istisharat's ICBS (Banking) in the Middle East. In Europe, Marc Tannous, Senior Project Leader - Banking Unit, has attended Objectway Annual Customer Conference held in Rome on the 6th and 7th of March. BML Istisharat is proud to welcome Laurent Maksoud and Maya Belouh as its new employees. Laurent Maksoud, Bachelor in Computer and Telecommunications Engineering from USEK, who joined us on 12th of February as DBA Services Manager. Maya Belouh, Master's degree in Business Computer from USJ, joined the company on the 1st of March as Assistant Product Manager in the Insurance Unit. Mawarid Finance ("Mawarid"), an investment group based in the UAE, has acquired a majority interest in BML Istisharat with the objective of supporting the company's expansion and strengthening its solutions. Mawarid Finance ("Mawarid"), an investment group based in the UAE, has acquired a majority interest in BML Istisharat with the objective of supporting the company's expansion and strengthening its solutions. Mawarid focuses on mid-sized business in the Middle East and has for the past decade supported entrepreneurs while taking their business to the next level, specifically in the Technology and Financial sectors. The firm is focused on long-term value creation, with a particular emphasis on investing in human talent, exploring international opportunities and forging partnerships. 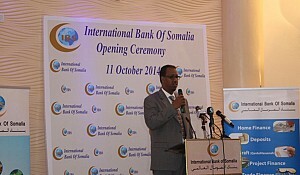 This investment is a testimonial to the trust BML Istisharat’s clients have granted the company all these years. 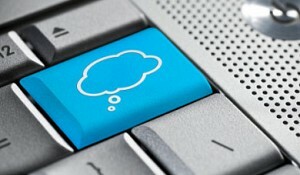 Accordingly, it was important to choose a partner that understands our business and values its achievements and people. Mawarid's involvement will be primarily focused on seizing growth opportunities, here and internationally, and investing in our solutions and capabilities. 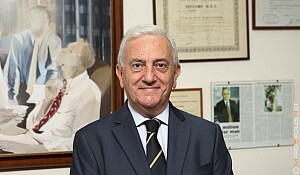 This year, Joe Faddoul will be gradually handing over its responsibilities of CEO to Mr. Raji Challita, but will remain significantly involved for three years as part of the board of directors. Raji, a pillar of the BML family and an accomplished executive, has all the necessary skills and experience to ensure the smooth continuation and growth of our business alongside our new partner. 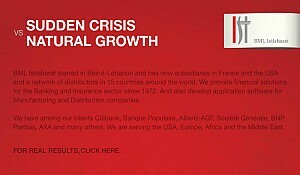 Looking back through the rich history of the company, 40 years ago (Newsletter Q1 1978), Banque Libano - Bresilienne SAL - Beirut, had entrusted BML Istsharat with the computerization of its operations. 30 years ago (Newsletter Q1 1988), Commercial Facilities Bank SAL - Beirut, had entrusted BML Istsharat with the computerization of its operations. Newsletter Q1 1998 informed that Grain Dealers Mutual (GDM)- Indianapolis had selected CIRIS for its computerization. 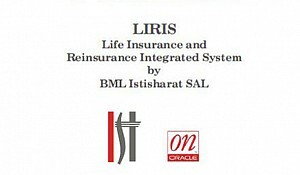 GDM, the third CIRIS customer in the United States, is still using BML Istisharat's product. It’s been 10 years since Newsletter Q1 2008 announced that National Bank of lraq (NBI) - Baghdad had entrusted BML Istisharat with the computerization of its operations. National Bank of lraq (NBI) - Baghdad continues to be an ICBS user until nowadays.